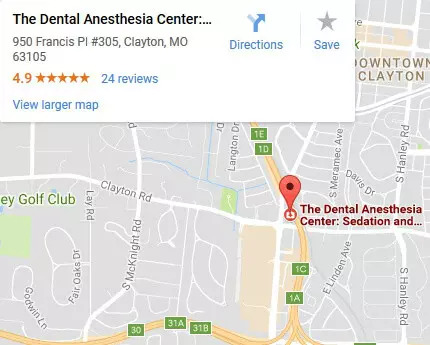 You are here: Home / Blog / Do I Need Sedation Dentistry for a Root Canal? If you are putting off a root canal due to fear or anxiety, it may lead to a serious infection. For most patients, a root canal sounds a little overwhelming. The good news is that it doesn’t need to be. If you are afraid of the pain associated with a root canal, there is a way to have the procedure done with virtually no pain. If you use sedation dentistry, a root canal is nothing serious at all. 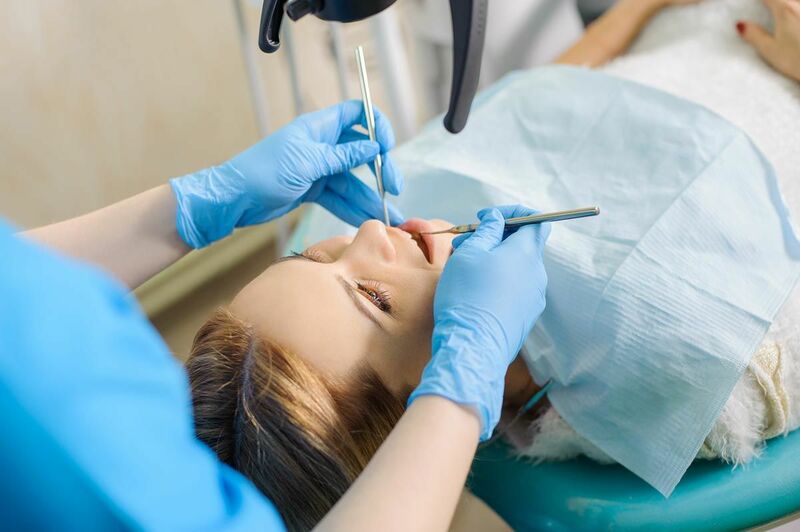 If a root canal is necessary and you are putting it off because of pain or anxiety, it may lead to a serious infection or an abscess if you choose not to have it done. When you have a root canal, there is an opening made to the crown of your tooth. The dentist removes the pulp of the tooth down to the tip of the roots. Once the infected pulp is removed, the dentist uses a filler to fill the tooth, then an adhesive is used to ensure that the entire canal root of the tooth is sealed. Once the procedure is done, the dentist places a temporary crown on the tooth, then you return for another appointment to have a permanent crown placed that will protect the tooth against any further damage. It can sometimes be a lengthy process, and since the dentist is dealing with the roots of your tooth, it can be highly sensitive and painful, which is why many patients avoid having it done. 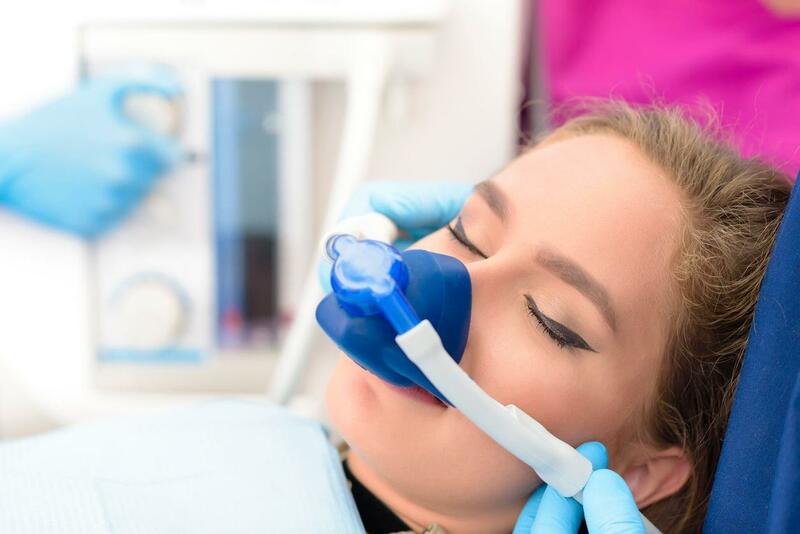 For a root canal, there are various options for dental sedation that will minimize any feeling that you have, and in some instances, any memories that you have of the procedure at all. If you are getting a root canal, you can use nitrous oxide, oral conscious sedation, or IV sedation. The sedation method for an individual is determined on the patient’s medical history and current physical and mental health. Minimal sedation is the lightest level of sedation. It involves a mild sedative, such as a Valium-like medication or Nitrous Oxide (laughing gas.) Using this kind of sedation requires no additional training for the dentist. When the procedure is over, you can leave the office without any residual effects. Moderate sedation is referred to as “sedation dentistry.” This allows the patient to simply respond to questions, they are not asleep. Deep sedation, or General Anesthesia Dentistry, is referred to as “Sleep Dentistry” (unconscious). Using this method, there is no memory of the procedure. Dentists who provide this method require a two-year Dental Anesthesiology Residency or an Oral Surgery Residency. This is the recommended level of sedation for individuals unable to tolerate dental treatment for mental or physical reasons. When you come in for your appointment, Dr. Hoffmann or Dr. Daugherty will decide which level is best for you. The Dental Anesthesia Center is a state-of-the-art dental facility for patients who require general anesthesia, deep sedation, or oral sedation for their dental care. Young children unable to cooperate and individuals with mental or physical disabilities can benefit from these services. 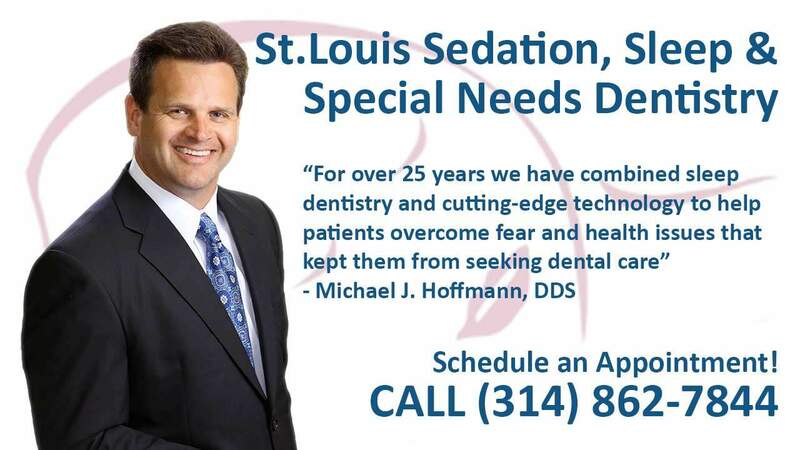 Call us today to schedule an appointment at (314) 862-7844. We look forward to meeting you!